My name is Tanya and I am the owner of Natural Parenting Shop. 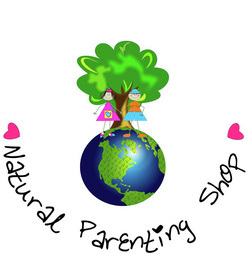 Natural Parenting Shop is a parent owned and family operated company out of Brampton, Ontario (about 30 minutes west of Toronto) with US shipping out of Niagara Falls, NY. Every family has unique circumstances with distinct needs and resources. We aim to provide our customer with a wide range of natural products, baby slips and wraps, cloth diapers, cloth diaper accessories and unique baby gifts to choose from that don't break the bank. If you have any questions or concerns, please don't be afraid to send us an email! We are here to help along the great adventure of cloth diapers and natural parenting!